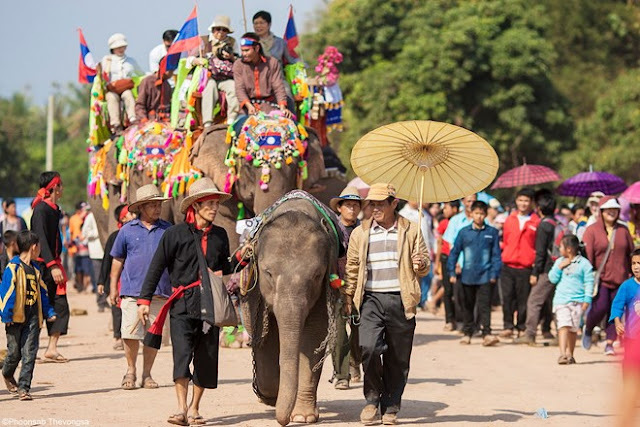 Laos, the country of elephants fascinates visitors with the sacred temples, scenic waterfalls, statues of Buddha of many shapes and friendly smiles of the people. You can travel come to this country from Saigon, Hanoi by plane or by passenger car. From Hanoi can buy tickets to go to Vientiane, Laos at 3A Nguyen Gia Thieu street, exit at the Cau Treo border gate. Another way is to go to Vinh, buy bus tickets to Xieng Khouang, past Nam Can border gate on Tuesday, Thursday, Friday, Sunday with the price of about 200,000- 300,000 VND. Car carriers will imprint the immigration stamp, so you do not have to worry about the procedure. From Ho Chi Minh city, you can go to Laos by road through the border gates in Kon Tum and Quang Tri, Hue or Quy Nhon provinces. Also, if you have your own vehicle (motorbikes, cars ...) and want to drive, you can apply for a Vietnam - Laos through traffic permit at the Department of Transportation. The main means of transport in Laos are tuk tuk and pickup (a type of small truck). Car schedule are always available at the bus station or travel agency. Buy pickup tickets before one day and should not buy round-trip tickets. When visiting to any tourist destination, you should ask about the route to the nest scenic points before the tour. Rent Vietnamese overseas students as your tour guide. You need at least 5 days to get to the most popular destinations in Laos, but usually, the backpackers often make a plan for 8-9 days to fully explore all the landscapes of the country of elephants . You can go to Laos at any time during the year, but before coming, you should study carefully the weather, the season to prepare the items to avoid sun and rain. Travel services in Laos are quite developed, so there are plenty of affordable guesthouses ($ 8 - $ 12/ night). Some hotels, motels that tourists recommend most (about the quality and price) are Long Dao Tel: (865-21-990-386); Riverside Hotel Ban Mixay – P.O.Box 2846 - Vien Tiane, Lao PDR Tel: (856-21) 244 390; SAYSOULY GUEST HOUSE 23 Th. Manthatulat, Vientian tel: 218 384. Kounxavan Guest House; SuanPhao GH 071 252 229, Vongpanya, which is slightly away from the center (7-10 $) 071 212 039; Marry GH 071 252 325. Basically, Laos dishes are quite similar to those of Vietnam, therefore, they are easy to enjoy and familiar. The dishes which should not be ignored when you come here is the barbecue, Larb, white sticky rice... 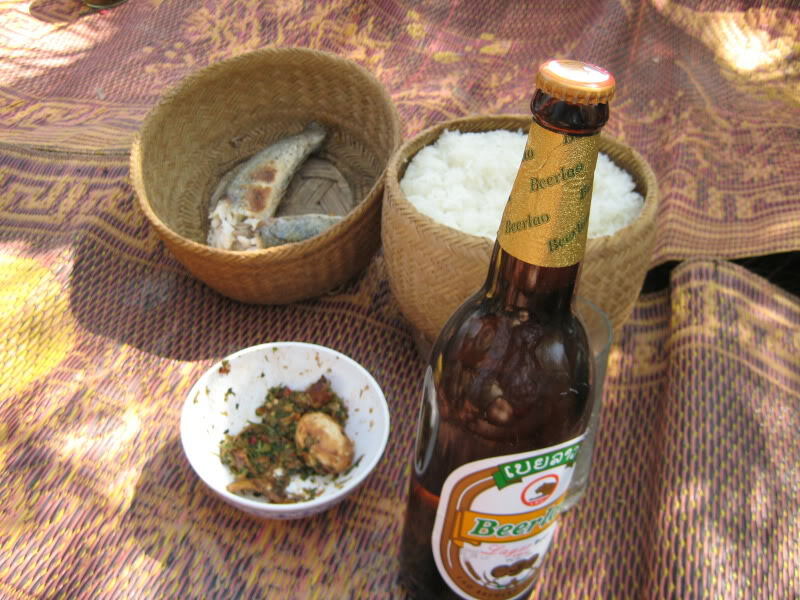 Remember to drink Laos beer which is said to be the most delicious beer in Southeast Asia. Book Lonely Planet Laos (travel guide). In Saigon, you can buy this book in Pham Ngu Lao street with price of 25 - 30$. Hats, masks, sunglasses, sun resistant clothing, gloves. Wear soft shoes to avoid sun in the summer and cold in winter. Drugs of common diseases . Sunscreen, and insect repellent cream. Buy sim cart at the border gate. You can use dollars, Kip and VND in Laos, but to limit unnecessary anticipated problems when traveling in rural areas, you should exchange the cash to Kip.